We are very happy to announce that we have recently joined the Weddings Online family , visitors to Weddings Online site can now read about us , check out images of our Photo booth and events we have attended , visitors can also contact us and check out our newest offers via their site . Weddings Online is Irelands biggest and most insightful wedding directory site and we are delighted to be part of it .At hireaphotobooth.ie we are dedicated to providing a fun, entertaining and memorable resource for your wedding or function,we provide a professional and helpful service and cover Galway, Limerick, Athlone, Dublin , Tipperary and all parts of the Republic of Ireland. 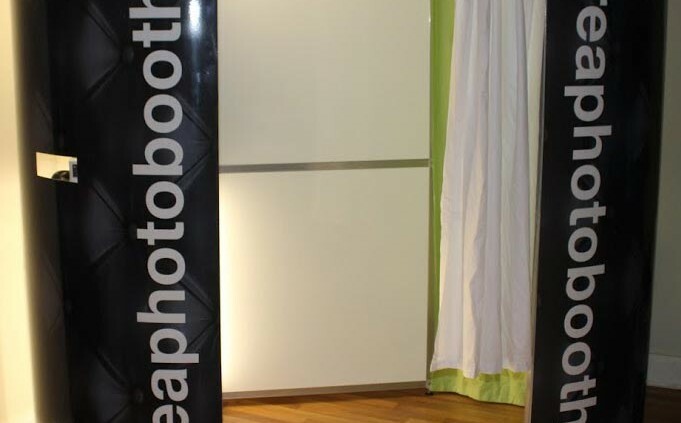 For Photo booth hire in Ireland contact info@hireaphotobooth.ie for an amazing quote . No problem if your not in Limerick we cover the whole of Ireland . Photo booths are the newest and most popular must have item for weddings , they provide a fun and entertaining focal point that all of your guests young and old can get involved in. We also provide great props that your guests can use in the photo booth to bring out their inner child and also create some funny lasting memorys. Our photo booths are great for capturing your guests in a more relaxed atmosphere than the more formal images taken by wedding photographers and because your guests get to keep a copy of any images taken while they are in the Photo booth we also print a second copy and put them in an album for you which your guests can then add a message to, looking back on the album in years to come will definitely put a smile on your face. When you hire a wedding photo booth, we will also send an attendant to ensure that everything runs smoothly and that you and your guests get the most of your Photo booth on the day. All of our attendants are smartly dressed and fully trained to provide a polite and courteous service, to enhance your overall experience. If you would like to hire a Photo booth for your wedding contact us for a highly competitive quote . We hire our photo booths all over Ireland from our base in Galway . We now also have a Ferrero Rocher Heart stand available at a heavily discounted price for anyone who hires a photobooth from us . hireaphotobooth.ie is based in Galway city where we service the entire country at highly competitive rates . As we are based in Galway we are happy to provide what we are sure you will find is the best value photobooth package in the County Galway . We supply our photobooth to all types of events , including Weddings, Birthdays, Corporate events , Debs, Communions and Confirmations . We will be travelling all over the County Galway this year with bookings already confirmed for Galway City , Salthill , Loughrea ,Tuam and Claregalway , we would love to be part of your big day and help make it special , contact us today you won’t be disappointed . Our price is all inclusive no hidden extras . Here at hireaphotobooth.ie we are delighted to annouce our latest offer and if your part of the 31% of the population who gets hitched mid-week then this is one deal that you won’t beat . If your wedding is on Sun, Mon (excluding bank Holidays ) , Tues , Wed or Thursday then contact us to avail of this unbeatable offer . 2.5hrs for only €369 , for events taking place in Counties Galway , Clare , Limerick , Offaly , Roscommon and Westmeath . If you would like to book we just require a €100 deposit . Busy planning your for your big day in 2016 ? Looking for that perfect first dance song ? Then check out Spotify’s Top 10 first dance songs , the number crunchers at Spotify have revealed the list after analyising data from over 400,000 wedding playlists worldwide , no wedding classics like , agadoo , cha cha slide or YMCA here instead the list is topped by English Crooner Ed Sheeran’s ‘Thinking Out Loud’ who has proved a hit with newly married couples all over the world . Photobooth hire in Ireland has become very popular in the last few years , for weddings, birthdays, communions, debs,and all types of events . As with alot of trends photobooth hire emerged as a trend in the United States before taking off in Australia and now Europe . Photobooths have come along way since the first commercially available one that was developed by German Conrad Bernitt in 1890 , these early versions had very little in common with todays wedding Photobooths . The earliest version of todays booths were developed Anatol Josepho in 1925 and proved to be very succesfull in New York where he lived having moved there from Russia . Just 2 years later he would be paid a million dollars for his invention , an astonishing amount of money at the time . The early version could only print very basic black and white images and customers had to wait 10 minutes for their photos to print , a big contrast to the high quality images with digitally imposed backgrounds printed in just 7 seconds that are produced by photobooths used by www.hireaphotobooth.ie .